Whether you are working with a commercial pattern or drafting your own, having pattern pieces that come together into a perfectly fitting garment is an important first step. 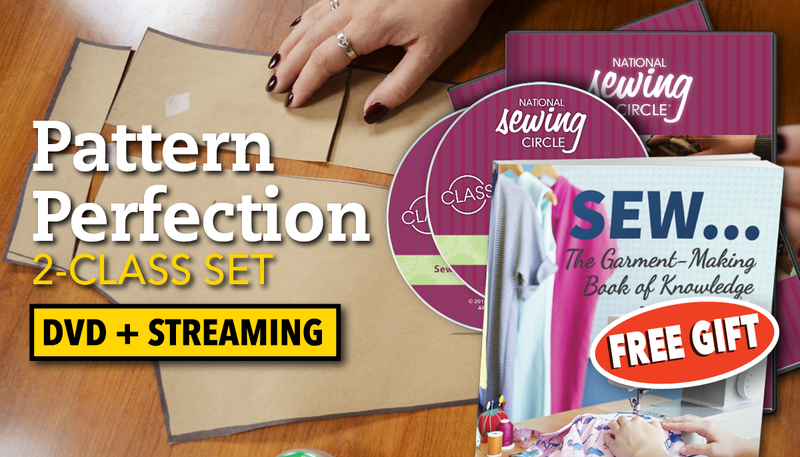 In this class set you will get two of National Sewing Circle’s classes geared towards sewing garments with the perfect fit, plus a FREE book: SEW… The Garment-Making Book of Knowledge Book (a $30 value). 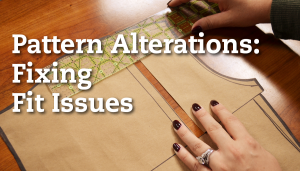 With over three hours of instruction, you will learn how to take your own measurements in order to draft pattern pieces designed specifically for you. 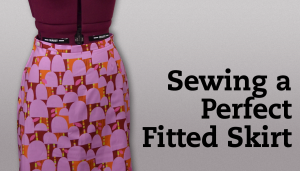 You will also get step-by-step instructions on how to assemble your perfectly fitted skirt, including how to add darts, install a zipper and add a waistband. You will also get detailed instruction on how to alter pattern pieces for other garments, like shirts and pants, to fix many common fit issues. Along with the following classes and book, you will also receive bonus PDF materials with each class that supplement and expand upon the video instruction. 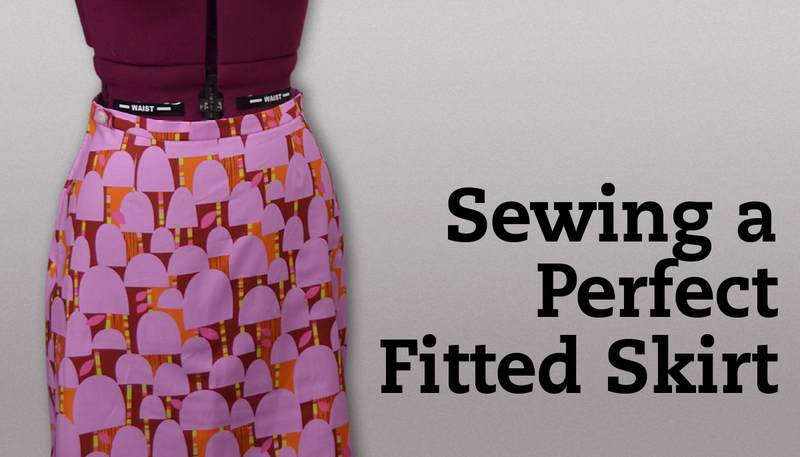 In this video class you will learn how to do basic pattern alterations on several different pattern pieces. Ashley Hough will teach you how to alter shirt necklines and backs, shirt sleeves, skirts and pants. 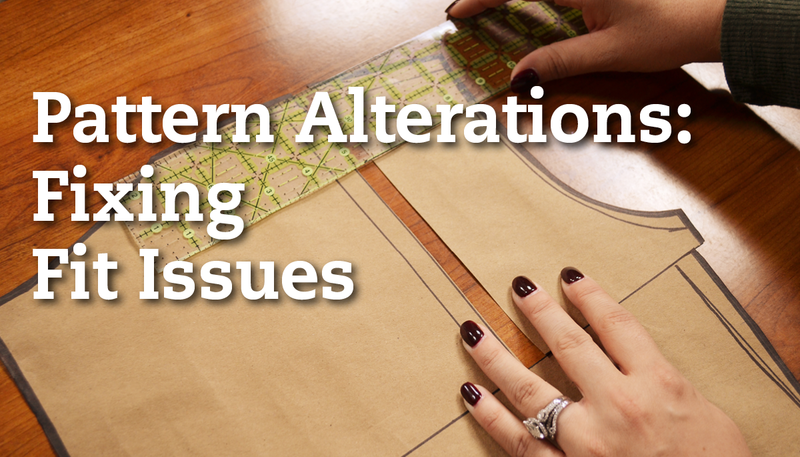 Ashley will also show you how to adapt the alterations for various patterns you may be using. A detailed class resource guide with step-by-step photos and insturctions for each pattern alteration. No matter what choices you make, be it A-Line, pencil, side-zip, exposed zipper, overlapped waistband, or a slit up the back, Aurora will provide all the skills to pick any combination you want, and get a perfect fit every time! 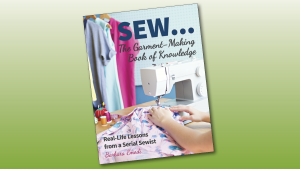 Everything your mother would tell you about sewing if your mother could sew! 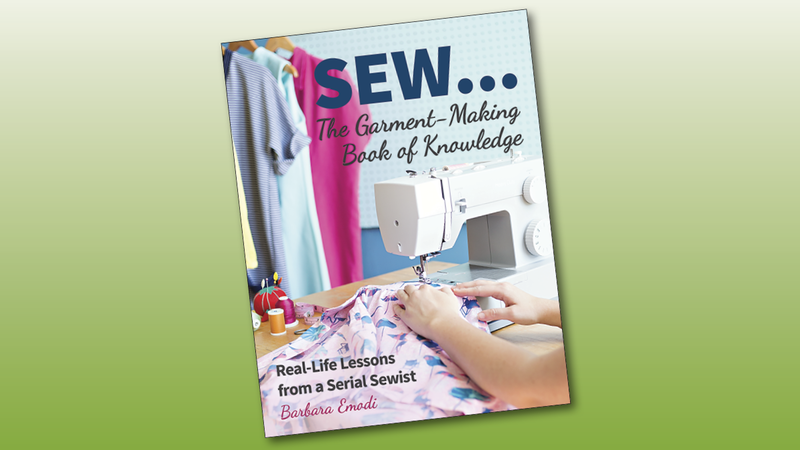 Experienced sewing instructor and blogger Barbara Emodi shares her sewing wisdom to help readers get started, get started back up, or hone their existing garment-sewing skills. Not a sewing reference book as much as a book of experience, this is a book that will make a novice sewist say, “Oh, so that’s why you do that,” make a practiced sewist think, “Now that’s a neat trick,” and make a very experienced sewist smile and say, “That is sooo true!” Take advantage of her thoughts, tips, and tricks on the benefits of sewing, the importance of fit, basic techniques, available tools, patterns, and materials, and so much more.